Nestled amidst 15 acres of lush tropical greenery, CHI, The Spa at Shangri-La Singapore draws inspiration from the origins of the Shangri-La legend, a place of personal peace and well-being. CHI presents a personal sanctuary where holistic treatments are based on time-honoured methods shared by many Asian cultures. In traditional Chinese philosophy, “chi” is the universal life force that governs well being and personal vitality. It is believed that “chi” must flow freely within the body to maintain good health. At CHI, The Spa at Shangri-La Singapore, you can expect unique treatments that define Singapore’s CHI such as the Singapore Wave and Tropical Retreat, inspired by the local blend of energy and multicultural heritage. The Singapore Wave ($185 for single; 60 minutes) is inspired by the multicultural influences of the garden city and combines traditional Asian massage and therapeutic massage techniques for an uplifting Singaporean experience. The unique Sense of Place treatments reflect a true sense of Singapore, using local ingredients combined with massage techniques that can be performed indoors or outdoors amongst the hotel’s lush gardens. CHI Signature Massages are developed to provide complete relaxation of the mind and to revitalise the body. Guests can choose from a Chinese foot massage in CHI Reflexology, a full body massage in CHI Balance, a muscle-tension relieving massage in CHI Rescue Release or the thermotherapy benefits of CHI Hot Stones. The Wellness Massage offers popular massage techniques from different regions. Guests who prefer deep tissue massage can enjoy the traditional Chinese tuina or the Thai therapy. For medium and lighter pressure, guests can choose between Balinese or Swedish massage. Guests who desire a more elaborated experience can choose a treatment from CHI Journeys. The CHI Retreat ($260 for single; $468 for couple) is a two-hour CHI body scrub and relaxation massage, while the CHI Enchanted Journey offers a three-hour head-to-toe treatment with a foot ritual, a balance massage and a customised facial to conclude the face and body indulgence. The price for all massage treatments and body therapies are quoted in Single or Couple price. Depending on the treatment you selected, you can save about $30 – $80 for 2 persons in a Couple package – these treatments will make a great anniversary or birthday gift for your loved ones. 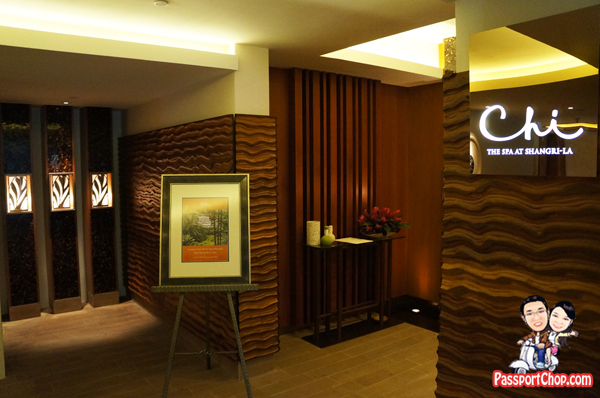 CHI, The Spa comprises nine treatment rooms, including three rooms for couples. 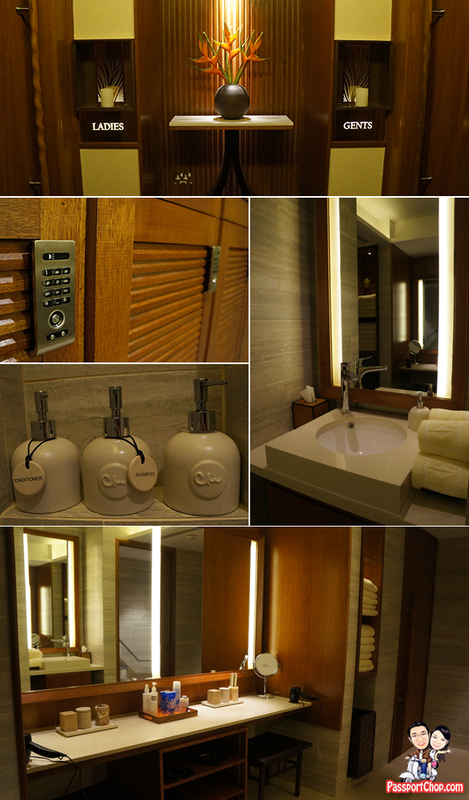 Both female and male locker rooms feature individual shower rooms; some of the shower rooms can be converted into steam rooms. So even if you are not here at Shangri-La hotel for a staycation, you can safely lock up your valuables before you go for your massage and wash up afterwards. The new spa complements Shangri-La Hotel, Singapore’s extensive health and leisure facilities, such as the 24-hour gymnasium, outdoor lagoon-shaped swimming pool, floodlit outdoor tennis courts and pitch-and-putt mini golf course. The spa also features a reception lounge as well as a relaxation lounge, where guests will be served welcome tea during the pretreatment consultation as well as after the massage session. 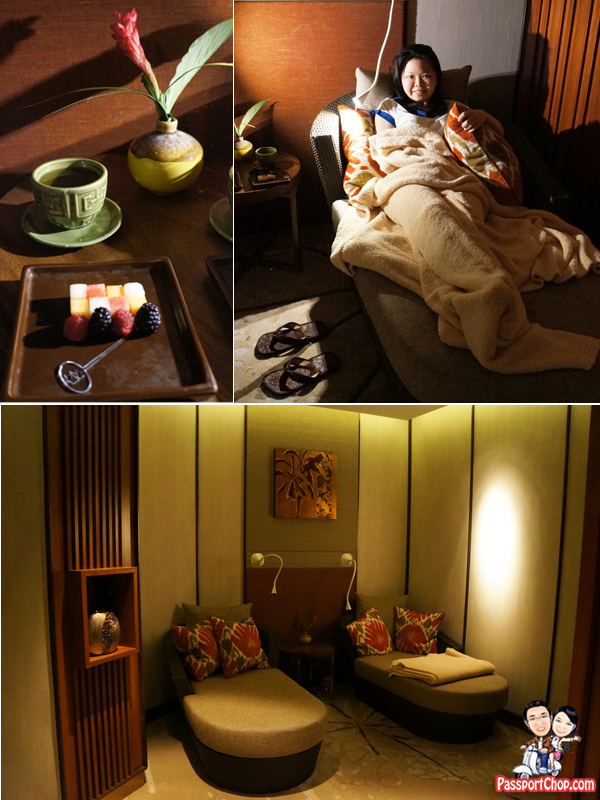 With low lighting, soothing music, you can be sure to doze off for a quick nap after a great massage treatment at CHI, The Spa. 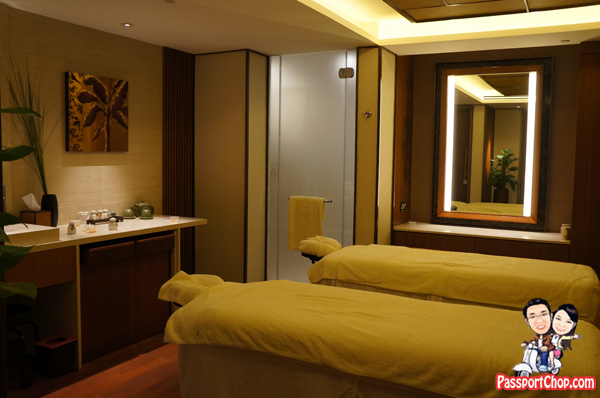 Besides massages, CHI, The Spa at Shangri-La also offers other treatments such as facial and body wrap therapies. Body Therapies are treatments that nourish the skin and promote cell regeneration with powerful ingredients. The Bio Mud Wrap activates the dormant cells to aid in circulation. The Marine Flora Wrap uses sea marine ingredients to detoxify the body from impurities. Guests can also choose a customised body exfoliation with hand picked ingredients to fulfil skin concerns with the Customised Body Polish. The Facial series is a collection of treatments focusing on inner light and nourishing the skin. Guests are pampered in the Rainforest Rejuvenation with Ila Facial using natural elements of the rainforest for regeneration of skin cells. The Customised Facial treatment addresses areas of concern from anti-aging, acne or detox. Specifically designed for men, the Gentleman’s Facial will improve skin texture and tone as well as focus on areas of deep-seated tension. For enquiries and reservations, please contact the CHI spa at Shangri-La Hotel, Singapore on (65) 6213 4818, e-mail [email protected] or visit www.shangri la.com/singapore.